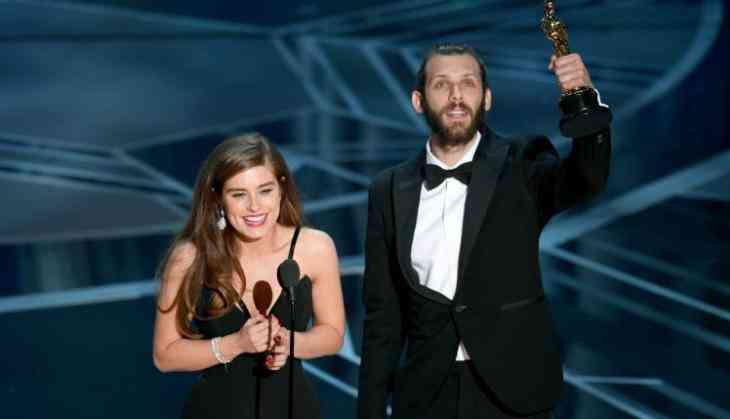 Former "Hollyoaks" actress Rachel Shenton used sign language during her acceptance speech as she won her first Oscar here for "The Silent Child" featuring a six-year-old deaf British girl. "I made a promise to our six-year-old lead actress that I'd sign this speech," Shenton, best known for playing Mitzeee Minniver in "Hollyoaks", told the audience. Jane Fonda signed part of her speech as she accepted the best actress award for "Coming Home" in 1979, as did Louise Fletcher who signed to her deaf parents when she won best actress for "One Flew Over The Cuckoo's Nest" three years earlier. Marlee Matlin, who is deaf, also signed when she won best actress for "Children Of A Lesser God" in 1987. "The Silent Child" is about a deaf 4-year-old girl named Libby who lives in a world of silence until a caring social worker teaches her to use sign language to communicate. Of the film, Shenton said: "Our movie is about a deaf child being born into a world of silence. "It's not exaggerated or sensationalised for the movie. This is happening, millions of children all over the world live in silence and face communication barriers and particularly access to education." While backstage, she said: "I'm so, so proud of putting this ability that isn't talked about in front of a huge audience - it's a story that isn't told often so I'm really, really proud of that." Overton added: "It's just incredible, especially for this subject it usually gets swept under the carpet, so this is huge for deaf people." READ NEXT >> What will happen to this beautiful blue planet?